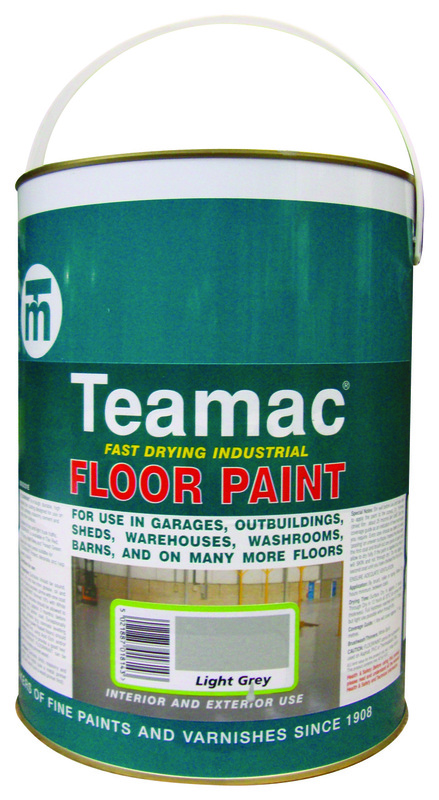 An economical and durable high opacity coating suitable for floors and walls of concrete, cement and brick. Our fast drying Industrial Floor Paint is the ideal coating to seal the floor, preventing dusting and providing an easy to clean surface. Suitable for foot and light truck traffic, this coating is ideal for garages, outbuildings, sheds, barns and warehouses. Industrial floor paint I must say I have used other floor paints in the past however, I have always ended up with some flaking or it not lasting very long. I purchased this after clearing my garage out and wanting to spruce it up and actually use the space as a garage. I did surface preparation with acid etch as recommended by the technical guys at Teamac and then went onto apply the floor paint with a roller, coverage was good and the finish after two coats was very nice. Amazing, easy to use product thank you.